Going kayaking is great for your health and to catch a great view of the lake, ocean, or river you're on. But what about seeing what's in the water below you? 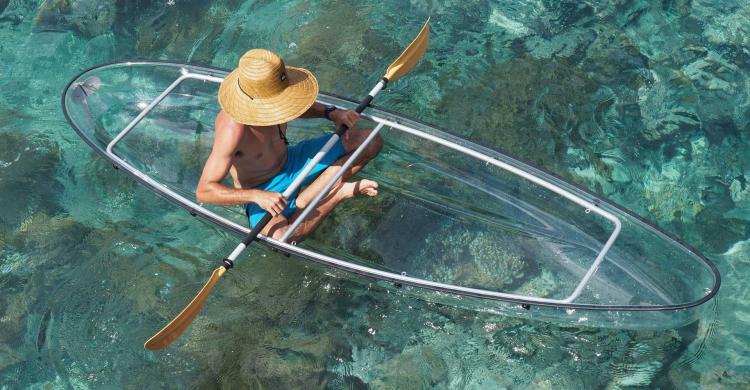 This kayak is completely transparent, and allows you to perfectly see underwater below you while you paddle. A perfect way to get a crystal clear view of the corals and fish below you while in very clear water, but probably not so great in a murky lake. Perfect for exploring rivers and oceans with clear water, the see-through kayak would make the perfect gift idea for outdoorsy people, or kayaking lovers, and works great in most water conditions from totally flat, to breezy and choppy waters. 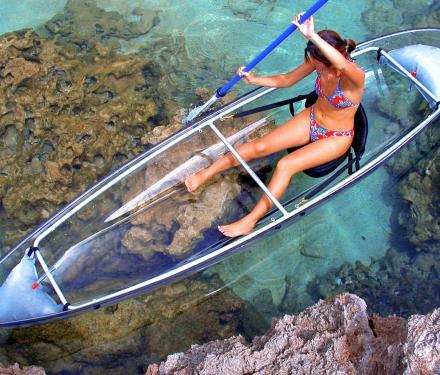 The transparent kayak comes in either 1 or 2 person designs, and is made from an advanced polymer hull along with corrosion resistant hardware. The canoe is extremely durable yet very lightweight which makes it very easy to get in and out of the water. 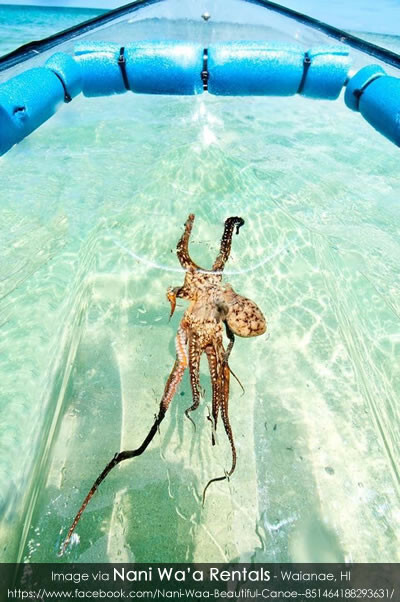 The transparent canoe measures 11 feet 1 inch long x 33.5 inches wide x 11 inches thick, and weighs just 48 lbs. The unique kayak can support up to 425 lbs of weight, and offers seating for 1-2 children or adults. 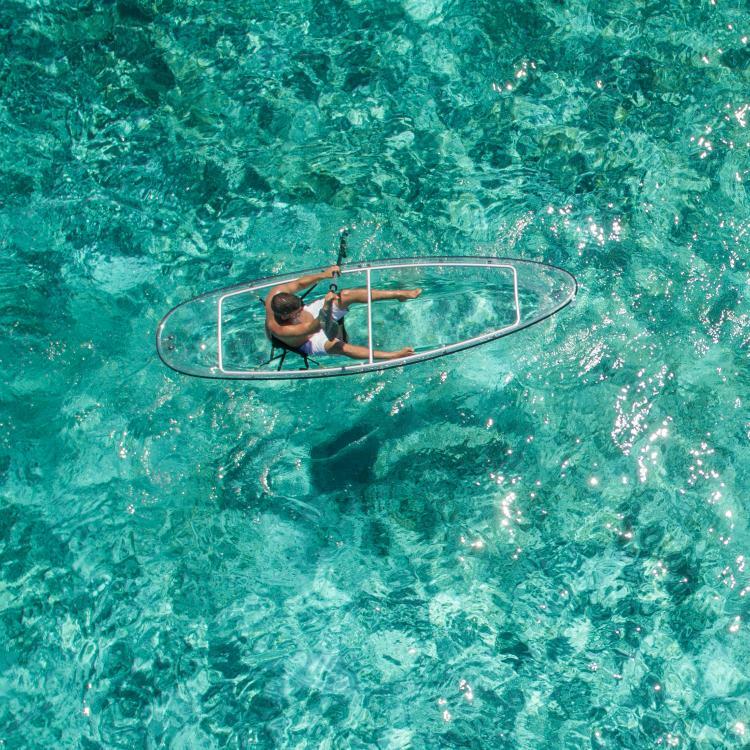 Check out the transparent kayak in action via the video below.